A pearly white and healthy smile is not just a feature that makes a person more attractive, but it’s also an indication of good health. Plus, when you consider that your oral health can have a major influence on your overall well-being, it becomes clear that taking care of your teeth and gums is something that shouldn’t be taken for granted. While brushing and flossing your teeth every day is an important part of having a great dental care routine, this alone is not enough to prevent issues – regular dental visits are essential for keeping your oral health in pristine condition. Professional and experienced Melbourne based dentists have the training and equipment to detect any early signs of oral infections and diseases and can provide effective solutions and treatments to a range of dental problems. 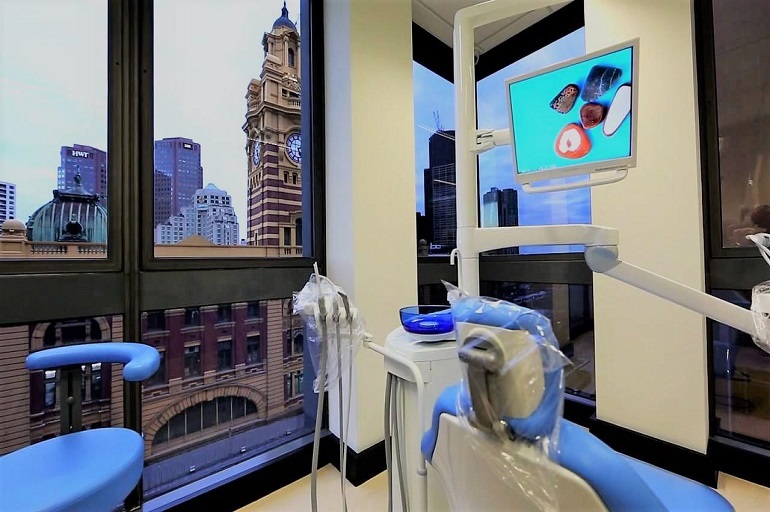 Among all the different Australian dental professionals, finding the best Melbourne dentist might seem like a difficult task, but there are certain criteria that might help narrow down your list. By following a few simple steps you can easily find the best Melbourne dentist who will take great care of your oral health. The dentist you choose should be qualified to perform many different dental treatments that can restore the health and beauty of your smile. A highly qualified dentist should have extensive knowledge and experience in dental medicine and be able to provide you with professional advice on how to take great care of your oral health. As mentioned before, dental visits can often be stressful, so the dentist you choose should be friendly, polite and make your dental visit more comfortable and enjoyable. The location of the dental clinic is another thing you should keep in mind when choosing a dentist. Consider picking a clinic that is based in an area close to where you live or work, so you can easily schedule an appointment and arrive to it on time and don’t forget to ask about the working hours of the dental clinic of your choice. A seemingly minor dental problem like a cracked tooth can cause major dental problems. For instance, if a large portion of the tooth is missing and the dentine is exposed, this can lead to nerve damage, if not treated immediately. That’s why it’s important to ask whether the dental clinic of your choice provides emergency dental care for dental problems like this require immediate medical care. Make sure you ask how much the dentist charges for different treatments including the fees for things like anaesthesia and facility. Also, prior to making an appointment, find out whether the clinic accepts dental insurance.